Greyhound’s announced cancellation of nearly all services in Western Canada has left provincial governments scrambling and rural Albertans without a lift. The long-distance bus company made the announcement earlier this month, citing decreased ridership as the main culprit as to why they would need to stop all Alberta services as of October 31. Alberta Premier Rachel Notley met with her provincial counterparts at the Council of the Federation this week, where the topic was brought up and possible solutions were discussed. According to a statement from Notley, the premiers will be asking the federal government to work with Greyhound in an attempt to stall the cancellation long enough for alternative services to be put into place. “That will give us the time we need to work together on a long-term solution,” she said in the statement. 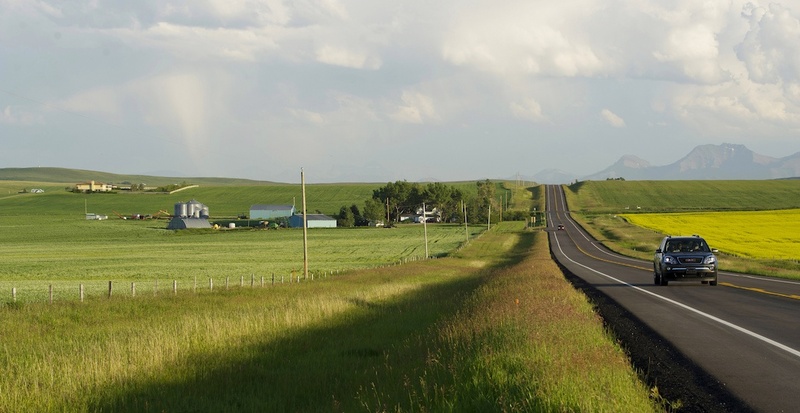 Alberta already has something of a jump-start when it comes to rural travel initiatives, as the Rural Transportation Pilot Project has been in the works since 2016. Notley cited the project as a jumping off point for her government to find a viable solution within Alberta, though the $1.4 million investment will be only enough to fund four grants, according to a release. Two grants will be going towards the City of Camrose, for both a regular bus shuttle between Camrose and Edmonton and to hire on a regional transit coordinator to oversee ridesharing possibilities in the city. Nearly $640,000 will go to Grand Prairie County to connect Sexsmith, Clairmont, Wembley, Beaverlodge, and Hythe to the City’s transit system. The remaining $200,000 will go towards the Municipal District of Spirit River by increasing the existing Family and Community Support Services Transportation program’s van service to three days a week between Spirit River, Rycroft, and Grand Prairie. “Our government made a commitment to try to help people living in rural Alberta with their transportation needs,” said Brian Mason, minister of Transportation with the Government of Alberta. Even with the pilot project being well underway and set to run in the fall, Alberta will still be hit hard once the Greyhound cancellation comes into effect, as all services to, from, and within the province will be ended. Prime Minister Justin Trudeau was in Nova Scotia earlier this week where he spoke to reporters about the issue.